FREE LEGO Heroes Build & Play Event At Toys R Us! 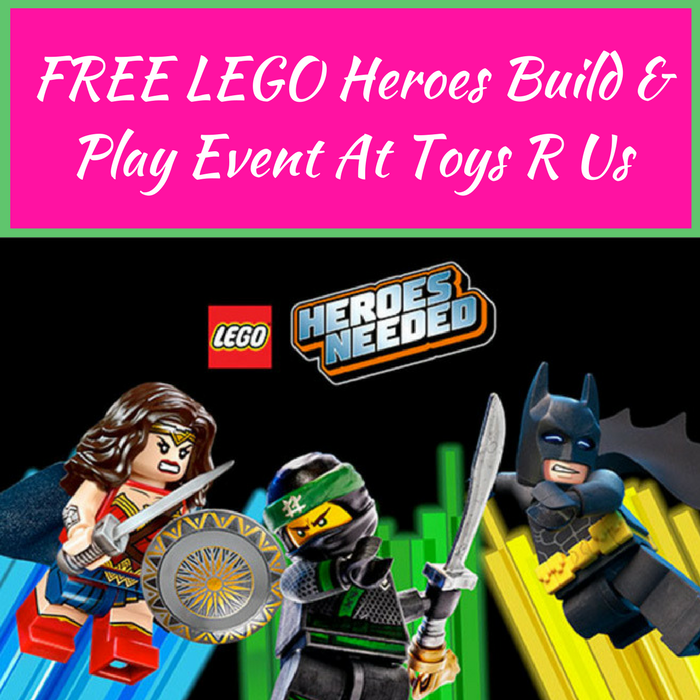 You are here: Home / FREEbies / FREE LEGO Heroes Build & Play Event At Toys R Us! On February 10, from 12-2pm only! Toys R Us will be hosting a FREE LEGO Heroes Build & Play Event where children can build and share LEGO creations and enjoy a fun hero mask giveaway! PLUS, you can get a coupon for 40% off select LEGO sets for in-store only. This is gonna be fun!